George Orwell moved around England, France, Spain and Burma in search for experience that would later become material for his fiction. Most prominently, his experience as a volunteer in the Spanish Civil War informed his novel Nineteen Eighty-Four. Australian novelist Peter Carey's Wrong About Japan (2005) is a travelogue that records and contrasts his and his son Charley's experience of Japanese mangas and anime on the one hand, and Japanese culture and history on the other. 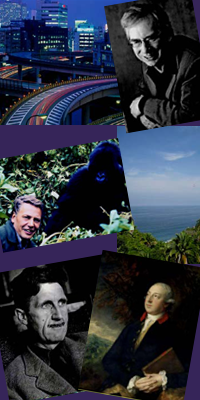 Different travellers from different periods, Orwell and Carey still deal with similar problems when encountering and recording otherness, in fiction and in travel writing: the negotiation of self, art and the politics of life and writing. With Welsh naturalist Thomas Pennant we return to the eighteenth century and the scientific observation and documentation of nature. An important member of the Royal Society and academic debates of the time Pennant was first inspired to take up his scientific interest in fossils and minerals after a trip to Cornwall. David Attenborough, broadcaster and naturalist, is well known to anybody who watches BBC nature documentaries. For over fifty years he has travelled around the world, to delight and enlighten audiences about its flora, fauna and peoples. Perhaps more so than his eighteenth-century predecessors (Pennant just being one example), naturalist Attenborough has become a celebrity, which bears its own rewards and responsibilities. But what all naturalists share is their global vision and their desire to introduce people to life on earth, familiar and foreign. Grant Hamilton is Visiting Assistant Professor of English Literature at the University of Hong Kong. He has published widely in the area of African and Postcolonial Literature. His most recent essay appears as a chapter in Deleuze and the Postcolonial (ed. Paul Patton & Simone Bignall), part of the Deleuze Connections series of Edinburgh University Press. His first research monograph, On Representation, is to be published later this year. David Huddart is Associate Professor in English at the Chinese University of Hong Kong. His research interests are in world literatures, postcolonial theory and the history of English languages. He is the author of the Homi K. Bhabha volume in the Routledge Critical Thinkers Series (2005) and of Postcolonial Theory and Autobiography (2007). Paul Smethurst is Associate Professor in English at the University of Hong Kong. His research covers travel writing, theories of space and place, postmodernism, contemporary fiction and the bicycle. Publications include The Postmodern Chronotope: Reading Space and Time in Contemporary Fiction (2000), Travel Writing, Form and Empire: The Poetics and Politics of Mobility (2008) and The Reinvention of Nature: Scientific, Picturesque and Romantic Travel Writing, 1760-1840 (forthcoming). 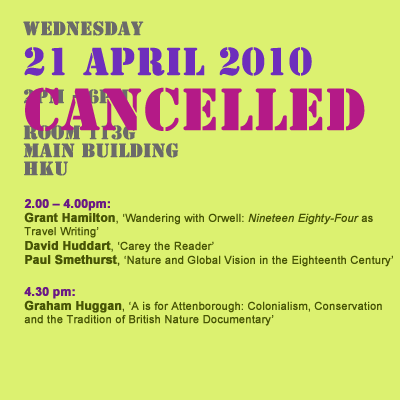 Graham Huggan is Professor of Commonwealth and Postcolonial Literatures at the University of Leeds and Director of its Institute for Colonial and Postcolonial Studies. His research interests range across the fields of colonial/ postcolonial literatures in English and French, postcolonial theory, comparative literature and literary theory, cultural studies (especially multiculturalism), short fiction, travel writing and English as a second/foreign Language. His books include Postcolonial Ecocriticsm (with Helen Tiffin, 2010); Extreme Pursuits: Travel/Writing in an Age of Globalization (2009); Interdisciplinary Measures: Literature and the Future of Postcolonial Studies (2008); Australian Literature: Postcolonialism, Racism, Transnationalism (2007); The Postcolonial Exotic: Marketing the Margins (2001); Peter Carey (1996); Territorial Disputes: Maps and Mapping Strategies in Contemporary Canadian and Australian Fiction (1994); Tourists with Typewriters: Critical Reflections on Contemporary Travel Writing (with Patrick Holland, 1998). 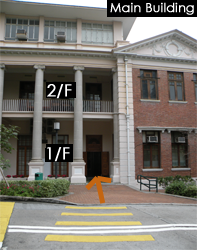 Room 113G, 1/F, Main Building, The University of Hong Kong, Pokfulam Road, HK. 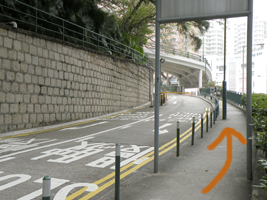 More transportation to HKU, please visit here. 1. 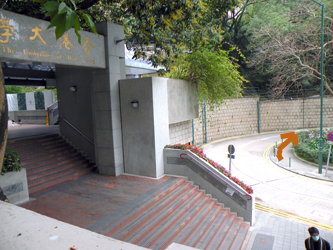 Enter Main Campus via East Gate on Bonham Road. 2. 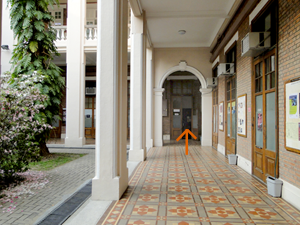 Follow the arrow to Main Building. 3. 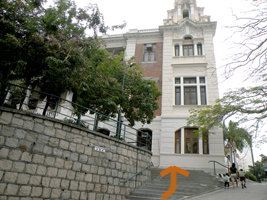 Go up the staircase and turn left. 4. Follow the arrow and go through the wooden doors and turn right. 5. Enter the door next between rooms 105A and 110, then follow the direction signs to our conference room (113G). Photos of this event will be available after May 3, 2010.